As Christmas approaches living abroad can be a little emotional, especially if your loved ones live the other side of the world. Trotting off to the shops to buy Christmas gifts for family living overseas can be so challenging. The gift needs to be light enough to send, but yet meaningful. How fortunate is it that today Christmas shopping is easier for there is so many shops and places to buy online. Thinking up special gift ideas for family overseas is so much easier with online shopping. Naturally not everyone does online shopping so if you send your gifts overseas yourself you need to be organized as to have gifts arrive in time for Christmas. Growing up I loved the big family Christmases, where all the family including cousins came together at my grandparents. It was always a full fun packed day, of eating, playing games, ringing church bells and giving and receiving Christmas presents. When I left home to travel and work abroad, I still wanted to part of the family Christmas even when I couldn’t be there in person. I found ways to be part of Christmas by gifting something that will be part of the family’s day, a game, Australian wine for the meal or snacks for later in the day. Naturally, travel and flying home for Christmas was always top of my Christmas list. However, when I could not fly back, I sought out special gifts for the family. It is not always possible to head home for Christmas and over the years the posting of gifts has become expensive. In fact, it sometimes costs more to post a gift then the gift costs itself. Fortunately, with drop shipping being on the rise, a thoughtful gift can be sent directly to loved ones, even those who say they don’t need anything. This post may contain affiliate links. We also may receive a small commission from the companies or products mentioned in this post at no additional cost to you. Please read the disclaimer for more information. 4 Ways to choose a thoughtful gift. Choosing a thoughtful gift when you are not posting it yourself is possible and here are a few ways to think up the ultimate gift to give to someone living away from home. Get writing. Brainstorm, make a list of all the things you know they love. Then think up an item that goes with the things you wrote on the list. Ask the person what they would like. When my daughter said a taste of home when she was overseas studying. I sent her a Downunder box The joy of receiving a box of Australian goodies that included Tim Tam’s made her day. Something that makes them laugh. Something that makes them laugh can be practical or an item that really would just make them laugh. A reminder of you. Reminders of you can be something that has a photo of you or be something from your new homeland. I enjoy sending to Australian gifts or gifts that relate to the Australian way of life, like the ones below. Ideas the family – Australian placemats or the family game Australian Monopoly, or that special photo gift like photo calendar or photo mouse mat. A few gift ideas for family or friends – Sydney tea towel or a book of the beautiful Central Coast. The place I now call home. Something caring. With something caring it does not need to be for the gift receiver. It is a charitable gift. So many people really do have everything they need and love to receive a gift that has been gifted in their name. A gift to a cause that matters to them, like a goat for Christmas with Oxfam or Worldvision. When you buy gifts for family and friends, it’s important to know what you have brought and what you still need to buy. I like to use an online tool to track my lists. All my Christmas ideas for gifts are stored in app Wunderlist. By keeping my list online, it is accessible when I’m out and about. When it comes to writing up Santa’s wishes. Pen and paper is the go. Over the years, I’ve often been asked what I would like for Christmas or my birthday. Just as I’ve asked the same question to my relatives overseas. I also ask my children what they would like for Christmas when they are home and when they are abroad. When I ask my son what he would like for Christmas he always says socks. He has since a young child always worn explore socks. Where I don’t tend to send everyday socks to family overseas unless they have requested it. I do sometimes create a gift box where I might put in novelty socks, especially something like these koala socks that remind that we live Downunder. 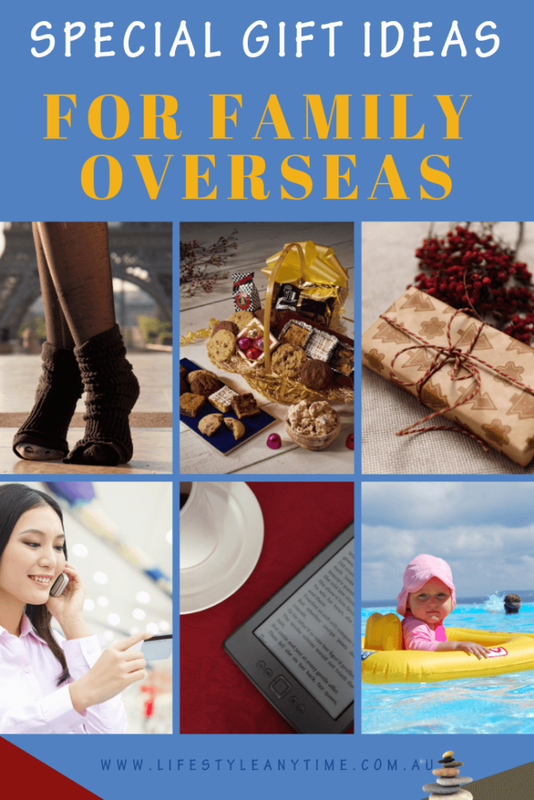 Gift Ideas for family overseas. Food Hampers. There are so many food hampers to choose from for all the family. The Downunder Box is one for all Aussie’s living away from home or even for relatives to get a taste of Australia. 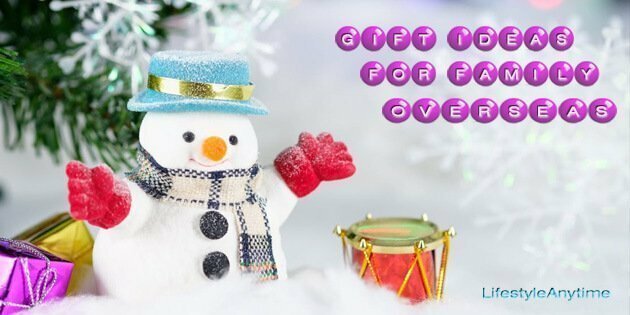 Gift Baskets Overseas is also a great place to find a wide variety of gifts to send loved ones. Clothing. Always a lot to choose from here. However, remember the seasons as in Australia at Christmas it is Summer and in Europe it is Winter. It’s easy enough to find hat’s and scarves to send overseas from Australia when buying online. Yet, if buying hats and scarves and posting yourself, you may need to shop earlier in the year. Australian shops tend to have the clothing for the season available and at Christmas time that’s summer clothing. How wonderful that online is all seasons, all year. When my nieces and nephews were young I’d send them a sun protection swimsuit. I’d buy the size ready for the next Summer season. Though I know they often wore the bathers to the local indoor swimming pool. Experiences. This gift is a great way to support locally in your families local area or an area they are travelling too. I’ve always gone directly to the company or main ticket supplier when I’ve brought vouchers for family overseas, like tickets to a football game or voucher for a day spa. Personal Development. There are many personal development books to choose from and if your not sure which one to choose, give a voucher so the gift can be chosen. Under personal development or entertainment are alao quite a few supscription options. Netflix subscription – A Netflix subscription can be handy for those who are moving away from home to live abroad where there is limited TV reception. I know my daughter enjoyed having access to Netflix to watch some English speaking shows when she was studying abroad. Turn your voucher gift into an event and all have fun on the day. If you are personally giving vouchers as a gift to someone travelling overseas or back home after visiting you. 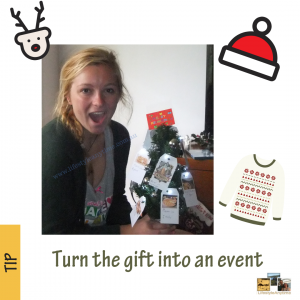 Think about how you can turn the gift into an event. One year for Christmas I gave my daughter a small Christmas tree with a money voucher. On the tree was gift tags of the experiences she could take part during her gap year. Another year, I gave my daughter a small homemade fishing rod and a box, she doesn’t fish. She needed the fishing rod to fish out her gift from the box. In the box were pictures that told a story when in the correct order. A story of an event for her to enjoy. The fishing delight was a surprise flight to see her friends in Melbourne. Otherwise to turn gifts into fun activities is to place the gift if it is a voucher in a magazine. Place a small gift in a very large box. Write up a scavenger hunt to find the gift. Play the fun game of hot or cold. However, you give gifts this Christmas. Remember the joy of giving. 2 replies to "Special Gift Ideas For Family Overseas"
I love your post, and it came at the right time too! There’s love and joy in sharing christmas gift, especially with our beloved families and friends. But, there is a special set of people in my life I’ll not fail to do something special for – my blog readers. They are the ones reading and relating with every post i write, and have made me what I am as an online coach. For sometime now, I’ve being brainstorming what to give to them as christmas gifit and haven’t been able to figure it out until now. Your recommendation to ask them what they want is my answers. They are certainly in the best postition to suggest to me what to give to them. Therefore, I’m going to send them an email asking them. Thanks a lot for this Angie. Thanks, asking is always the best as it is not easy to guess to what people want. Eki, you and your services are a special gift. Stay awesome.